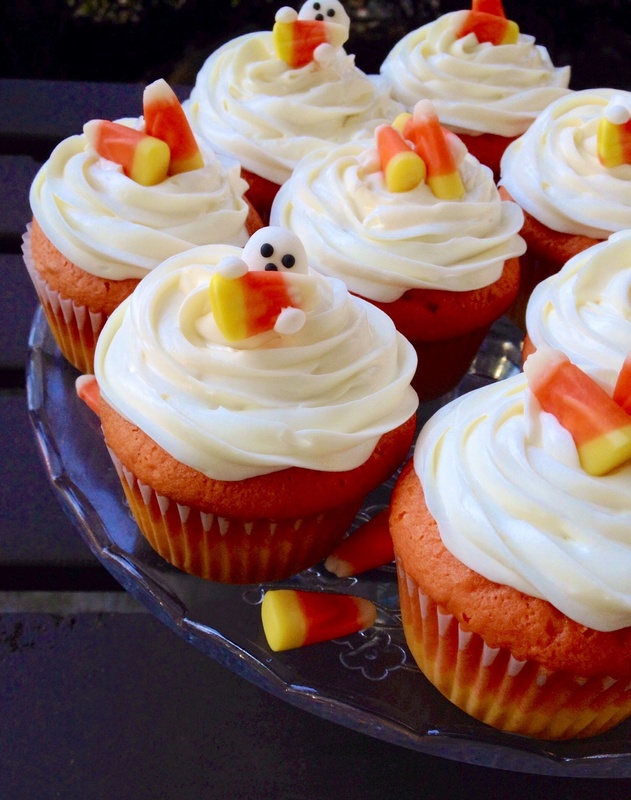 To get into the Halloween spirit, we made these adorable Candy Corn Cupcakes! 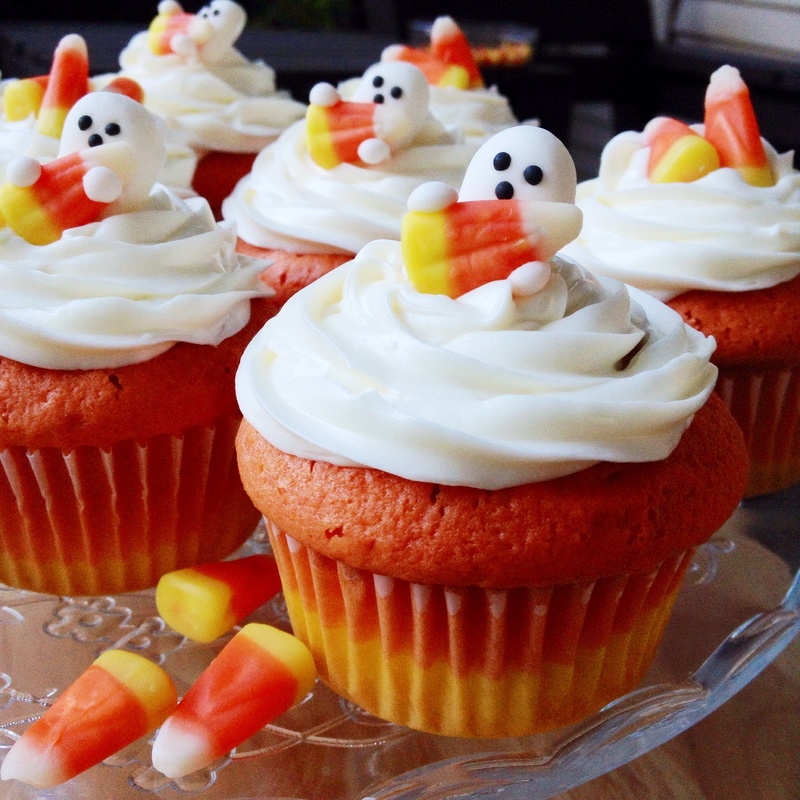 These are definitely my favorite cupcakes that we’ve made in awhile. 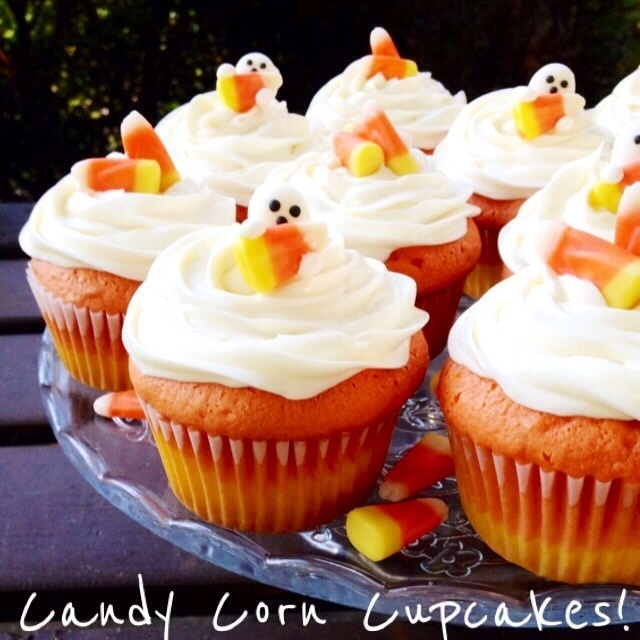 They are perfect for any Halloween get-togethers, and kids will adore them. 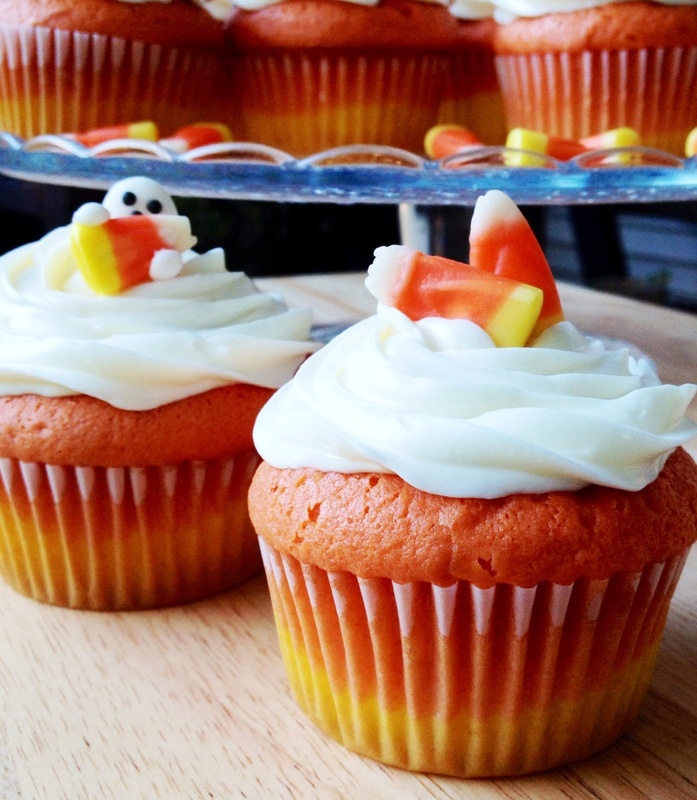 Not only are they cute and perfectly Halloweenish, they are also easy to make! 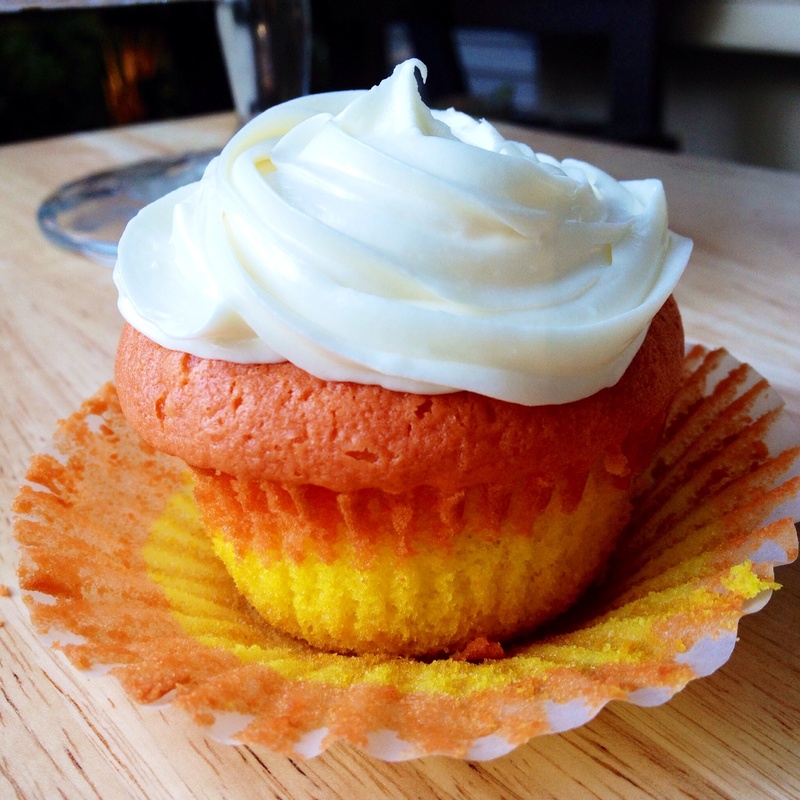 Don’t let the yellow/orange ombre fool ya – these cupcakes are super simple and use white cake mix for the batter. 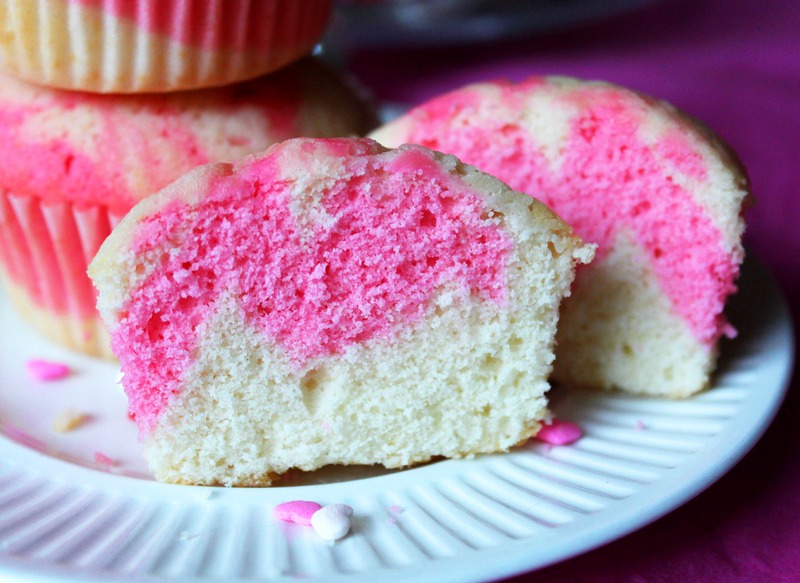 They are nice & fluffy, and have a faint taste of almond, so nummy! 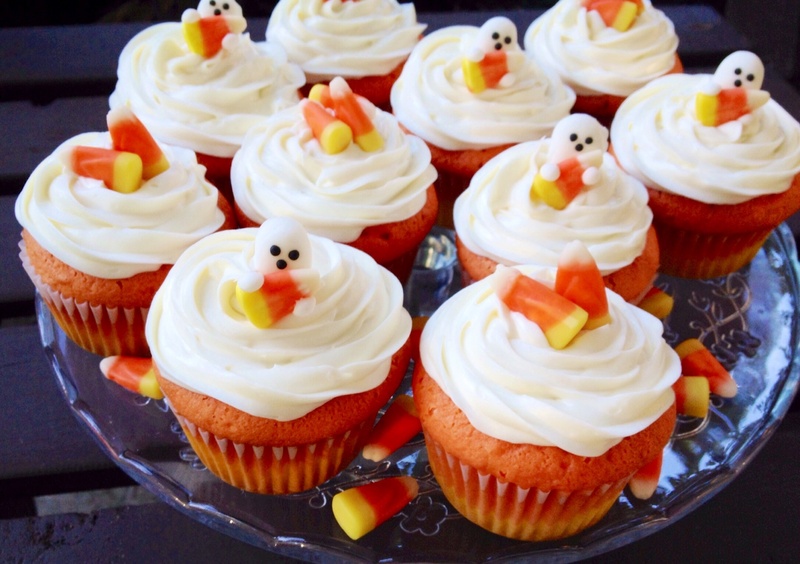 We used a 1M Wilton star tip for the icing, and bought the cute little ghost toppers from Michaels. 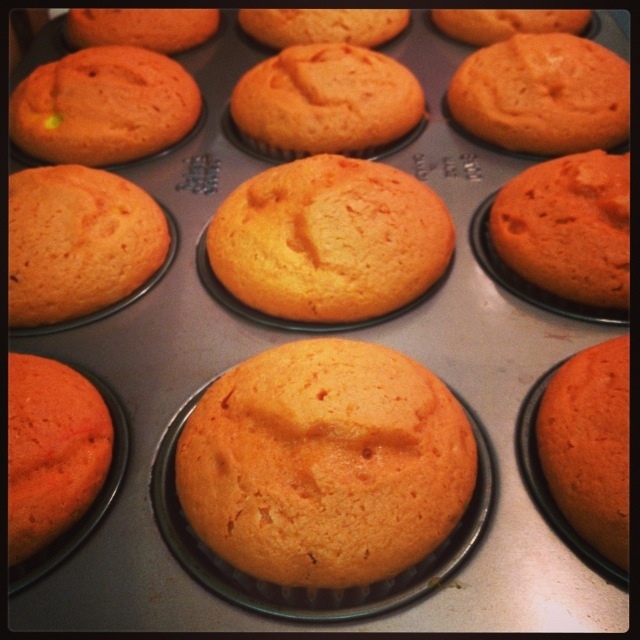 Preheat oven to 350 degrees F. Line muffin pans with cupcake liners. 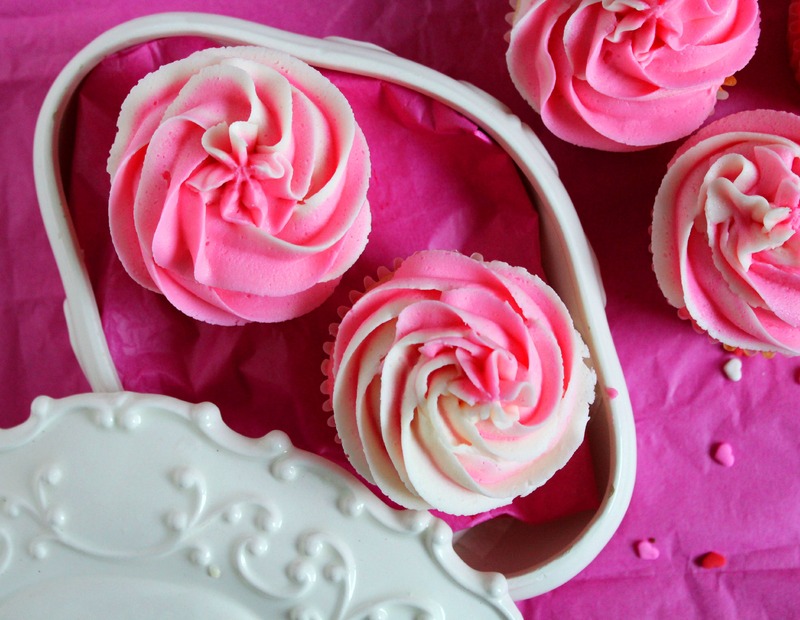 In the bowl of your stand mixer, fitted with the beater attachment, beat all the ingredients together (except for food colouring, and icing) for 1 minute on low speed. Scrape down the sides of bowl, and continue mixing on medium speed for another minute or so. 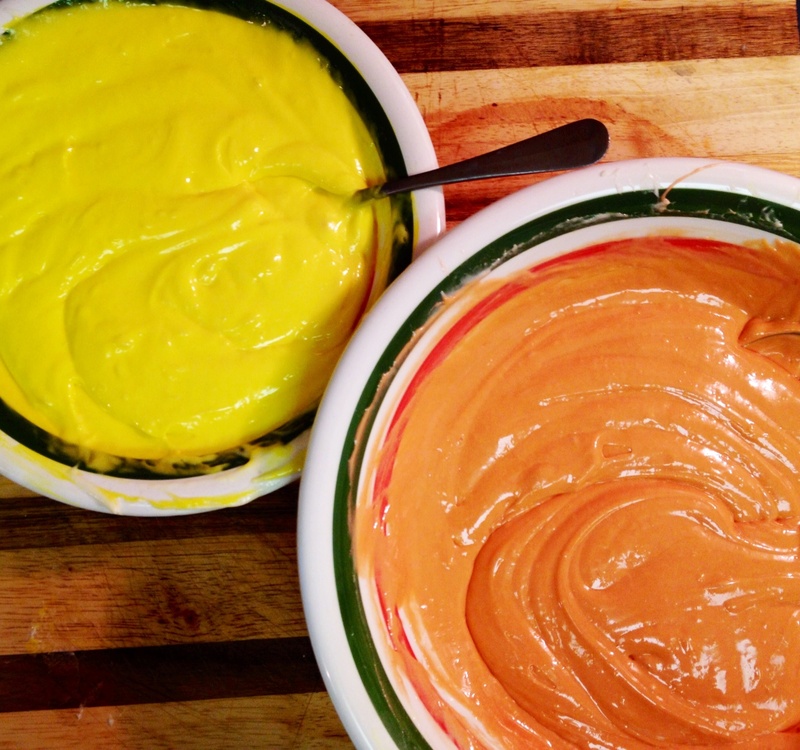 Divide the batter into 2 medium bowls. There will be approx. 2 1/4 cups of batter in each bowl. Stir in approx. 2 teaspoons of food colouring in each bowl. 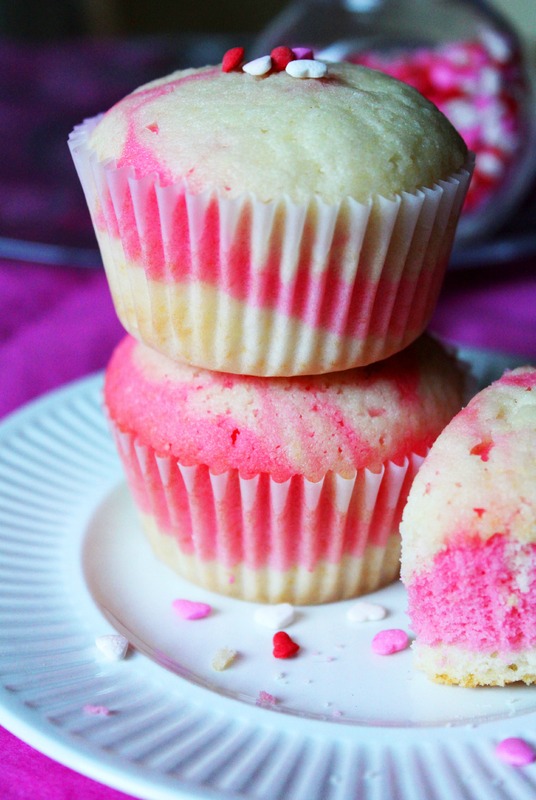 Using a cookie scoop, scoop about 1 tablespoon worth of the yellow batter into each cup. It should be about 1/2 full. 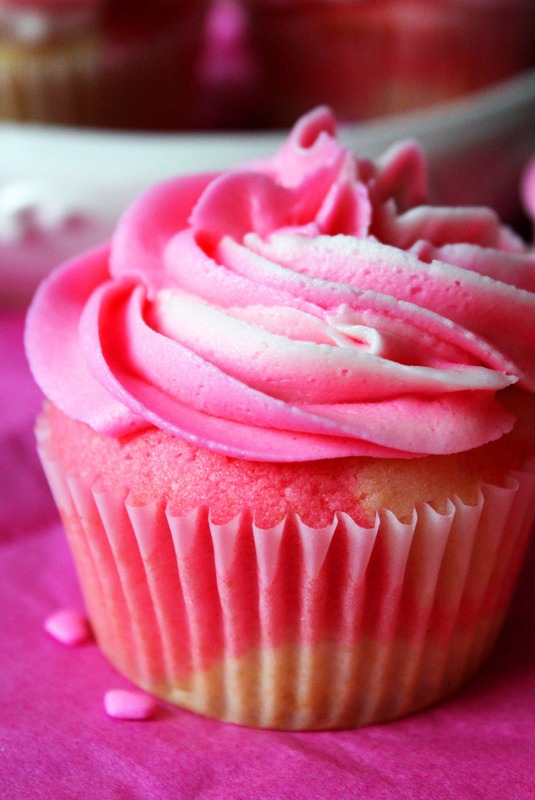 Hold the sides of the cupcake pan, and drop the pan onto the counter a few times to level out the batter a bit. Repeat with the orange batter. Bake for 20 minutes, or until a toothpick inserted in the centre comes out clean. 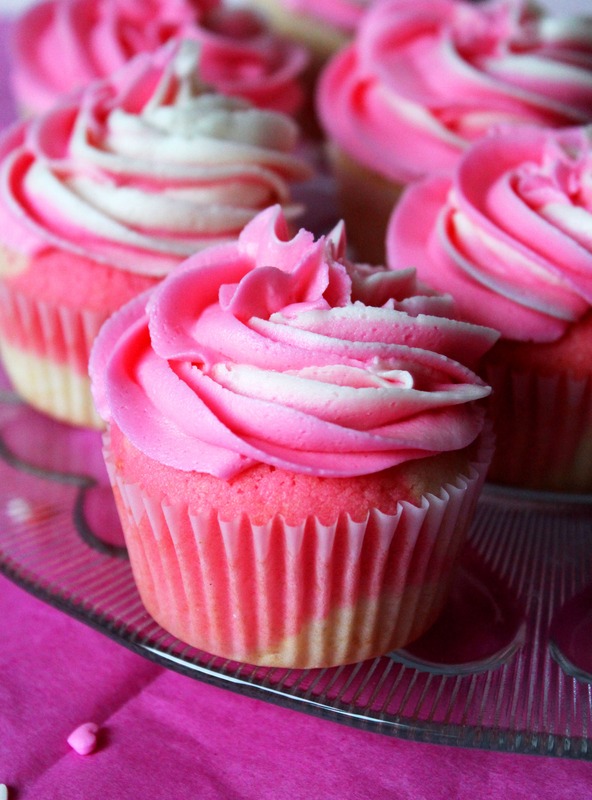 Allow cupcakes to cool in the pans for about 5 minutes, then transfer the cupcakes to a wire rack to fully cool. Allow to cool completely, ice and enjoy! 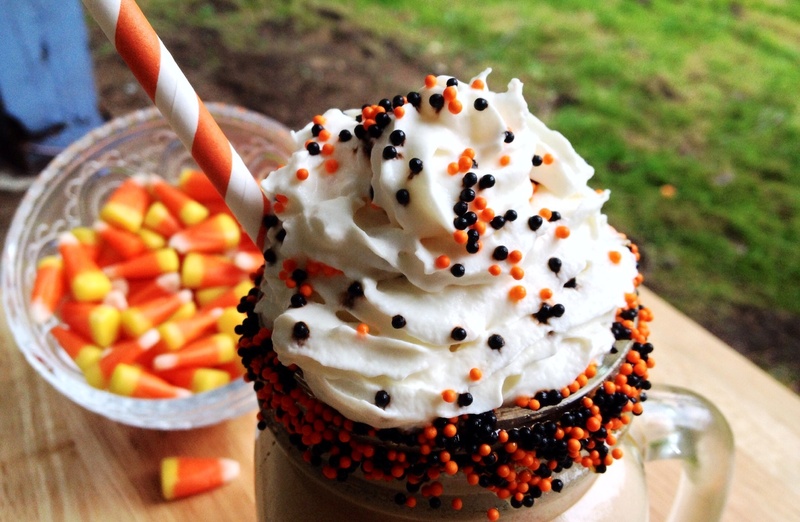 After searching through everything-Fall related on Pinterest, I came across a few different Halloween Milkshakes. 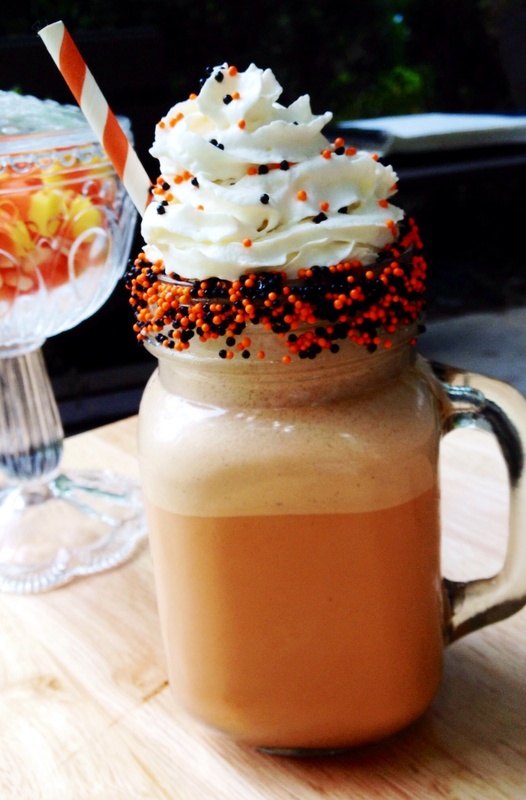 I thought they were so cute, I had to re-create one and make my own Spooktacular Halloween Milkshake! 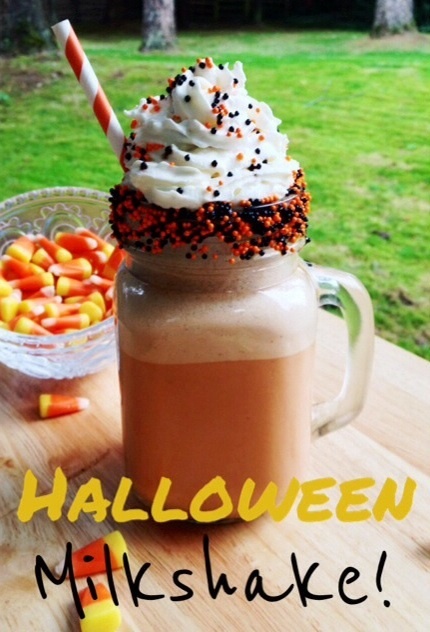 It’s an extremely easy, classic vanilla milkshake recipe with some added Halloween treats to add some spookiness! 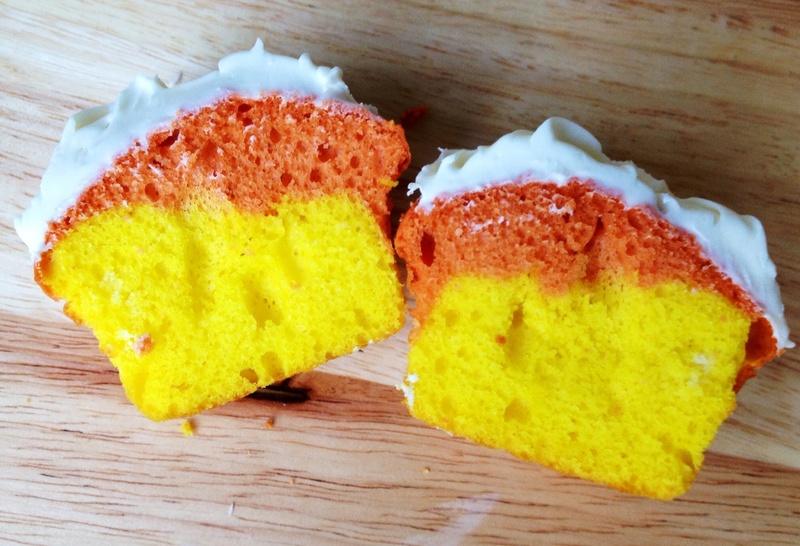 It’s so festive & fun, and kids will love it! 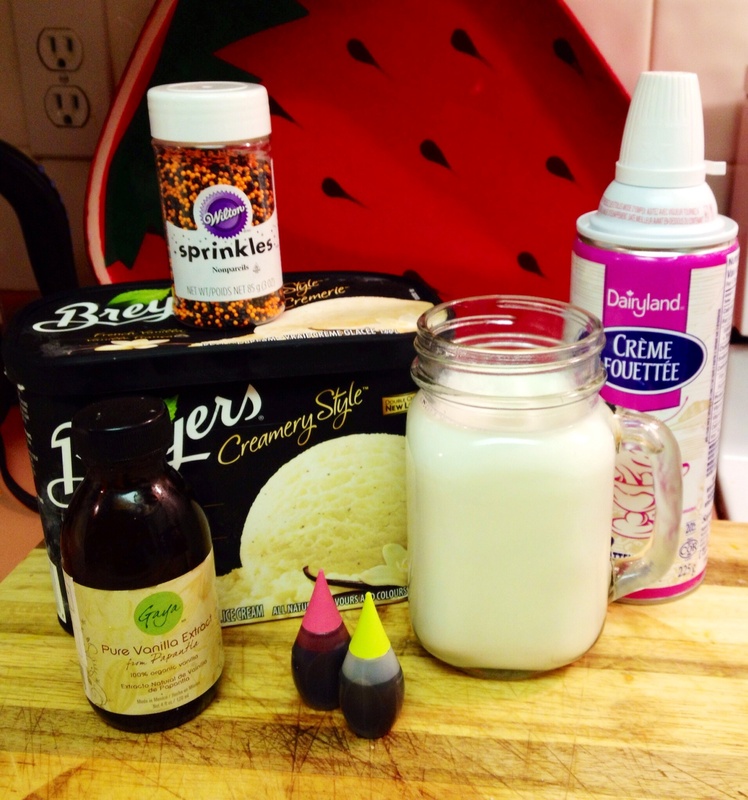 Blend vanilla ice cream, milk, ice cubes, & vanilla extract until smooth. Stir in food colouring. 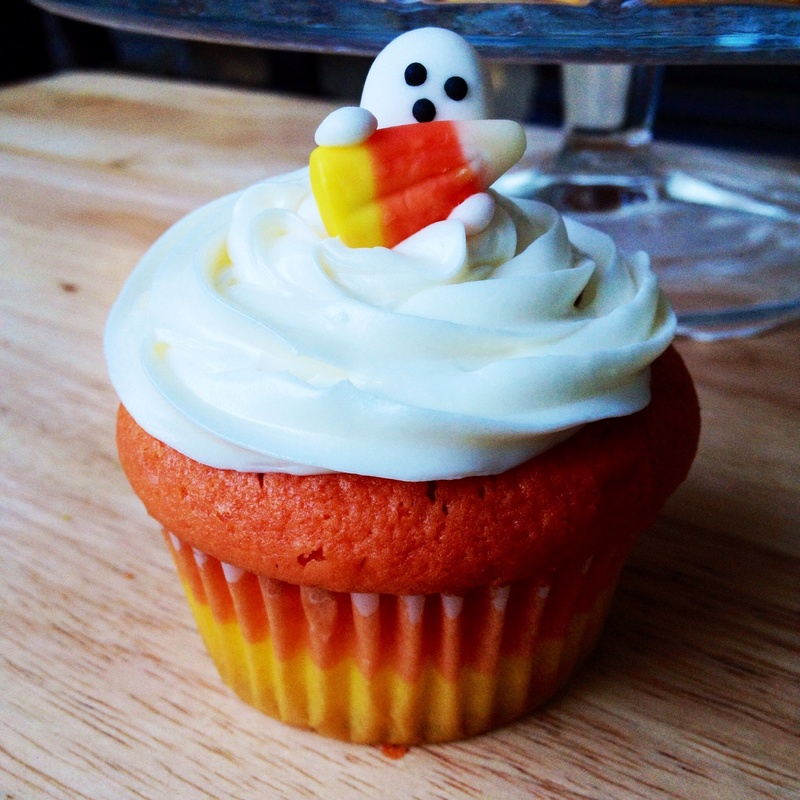 Top with whip cream & Halloween sprinkles! 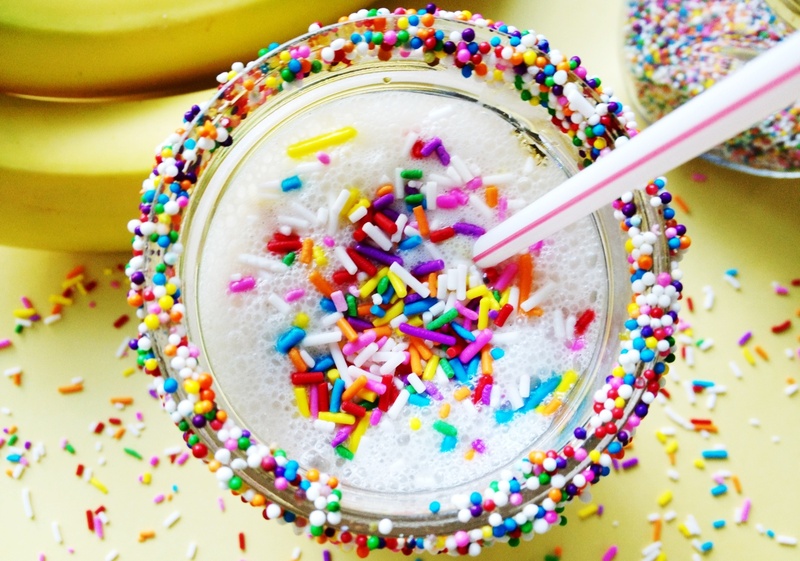 To decorate the rim of the glass with sprinkles: Rub cornstarch along the rim of the glass, than dip the glass into sprinkles. Wishing all fellow Canadians a very happy Thanksgiving! 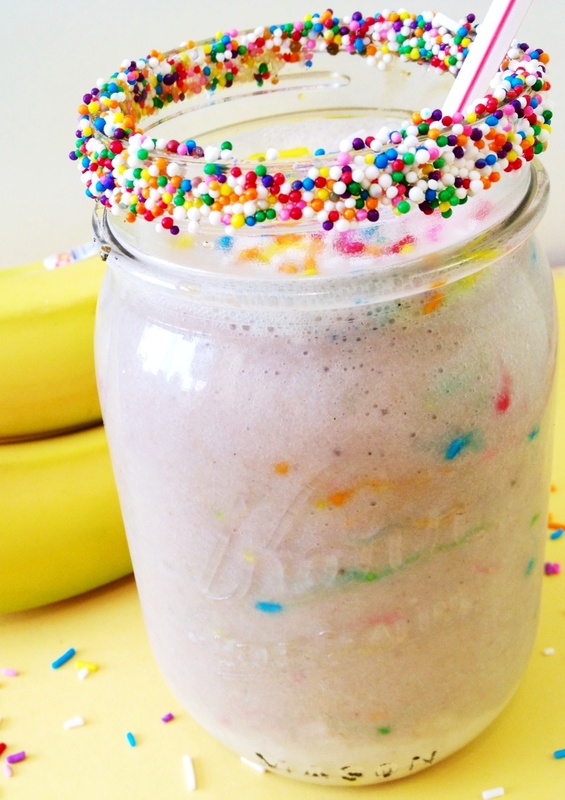 Not only is this milkshake simple & easy to make, it’s also delicious AND oh-so-pretty to look at. 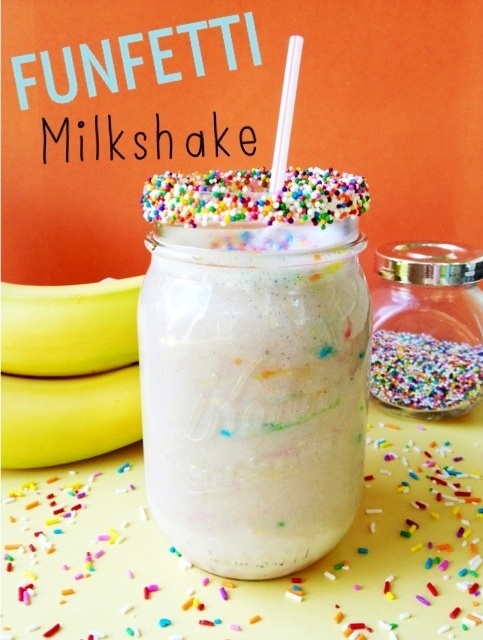 The milkshake is mostly made from whipped bananas, which gives it a nice soft serve taste! 1. 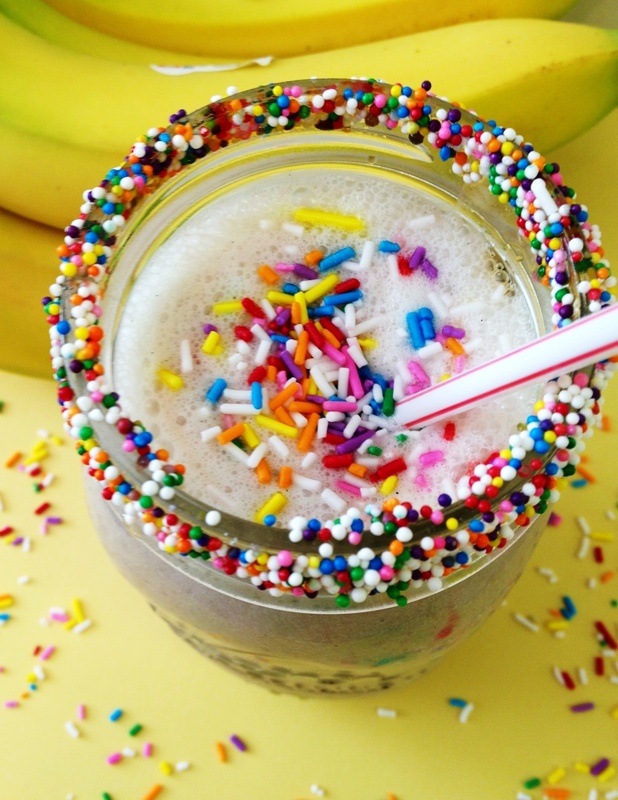 Place all ingredients (EXCEPT for the sprinkles!) into blender & blend until smooth and creamy. 2. 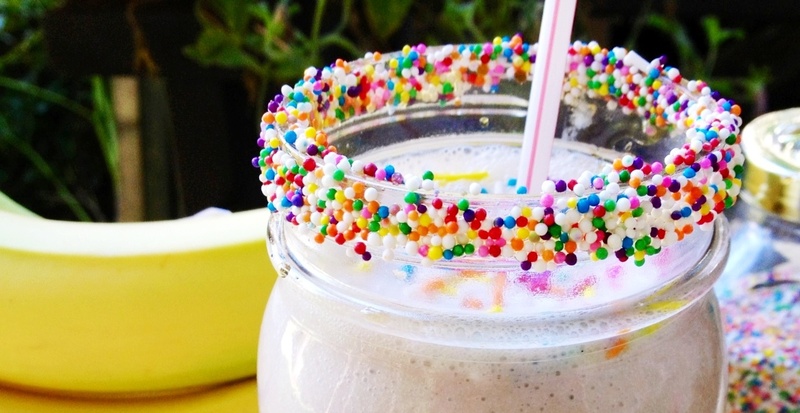 Pour mixture into glass and gently stir in as many sprinkles as you’d like. 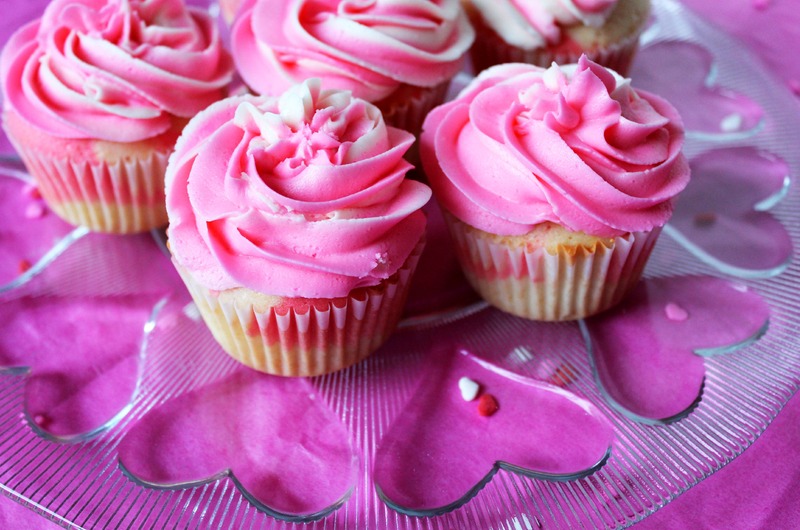 Sprinkle colors will run/bleed, so be sure not to stir too much. 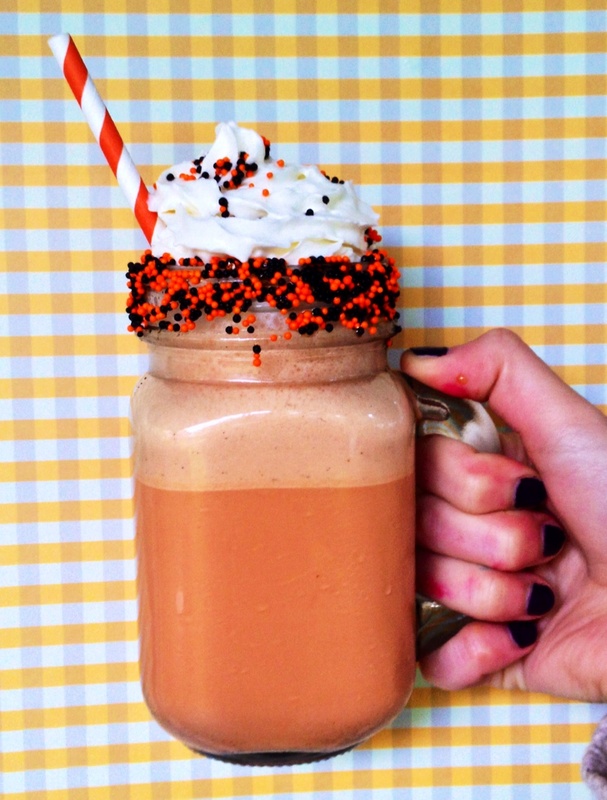 If you want to skinnify this drink, omit the ice cream & add 1/4 cup Greek yogurt instead.